join us as we celebrate one whole year of amazing beer on THE FARM! 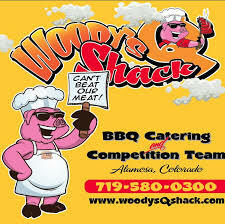 Woody’s Q Shack will be on site, serving up the SLV’s hottest BBQ! NEW BEER ALERT: The Anniversary Amber will be tapped at the party, you don’t want to miss it! COLLABORATION: We will tap 4 collaboration beers brewed with grains from 4 DIFFERENT CRAFT MALTING COMPANIES!